Americans' diets tend to be deficient in beneficial fatty acids. These oils help keep eyes moist and prevent scarring of the cornea. This support is especially important as we age and are exposed to common environmental factors that can cause irritation and dryness. 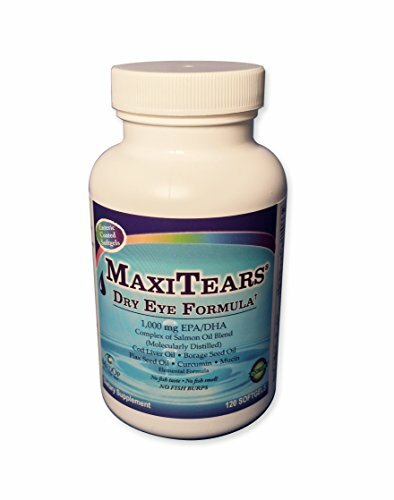 MAXITEARS is the research-based supplement that works from the inside out to help with dry eye relief. Formulated to provide the specific eye-doctor-recommended ratio of Omega-3 to Omega-6 fatty acids, MAXITEARS provides 3-way relief: enhancing tear production, improving the quality of the tears and helping reduce irritation. NOTE: Don't trust your eyes to anyone but MedOp! Enteric coated soft gels to prevent any unpleasant fishy taste. If you have any questions about this product by MaxiTears, contact us by completing and submitting the form below. If you are looking for a specif part number, please include it with your message.